December 7, 2014: Guardian of the Darkness maze, up to floor forty-seven. Ugh, I’m all full of stuff in my inventory again. June 5, 2015: Just goofing around in the GotD dungeon and sorting my inventory. I think that I should just move on in the main dungeon, which means that it’s time to face… Raffaello. Our friend. There are two jobs that I haven’t unlocked yet. Decided to restart the Guardian of Light maze to grind and discovered that the Dragoon job has some incredible abilities. Their Lance attacks can attack two enemies lined up in a row. The PS1 Chocobo’s Dungeon game looked like it had some serious feels too. I found Treasure Talons that increase your item drop rate, but my main talons are full of attributes already. Shall I sacrifice one for the other? I’m already lugging around too many items as-is. I can’t even dump my stuff off to empty my inventory so that I can do memory dungeons. July 5, 2013: Trophy: Completed your first crystal! After playing the Series Mode, I realized that FF has a recurring theme of hope. I eventually realized that you can lose HP from missing notes when you’re summoning too. I unlocked a song in the Chaos Shrine! 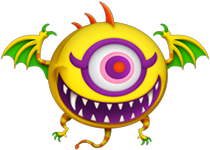 June 25, 2013: I ❤ how cute the monsters can look. It’s fun to see the eyes of wacky lil’ monsters like Ultros the octopus and Ahriman spin around after being hit. TFF is a very good and addictive rhythm game that uses music from across the Final Fantasy series. 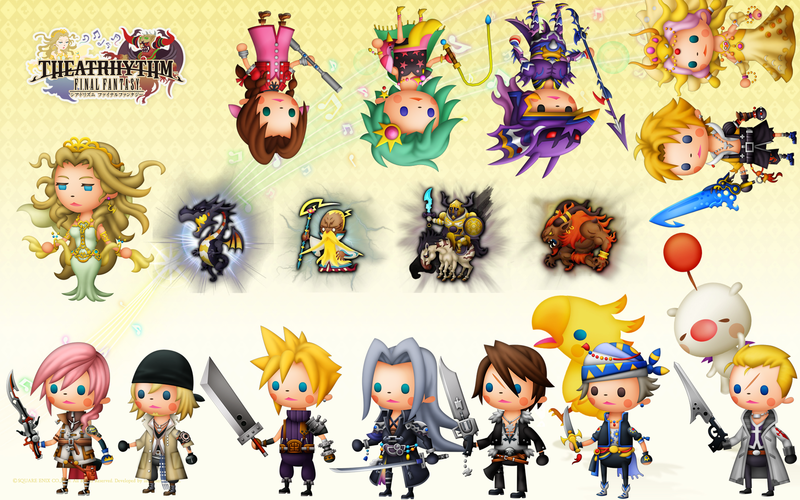 It and its sequel, Theathrythm Final Fantasy: Curtain Call are some of my favorite 3DS games, which is saying a lot. The first game uses music from Final Fantasy I – XIII. The songs are divided up into three categories: Field Music (overworld, dungeon, and town themes), Battle Music, and Event Music (climactic scenes from the games that use a supercut of cutscenes from the games). Your goal as a leader of the Warriors of Cosmos is to gain enough Rhythmia.